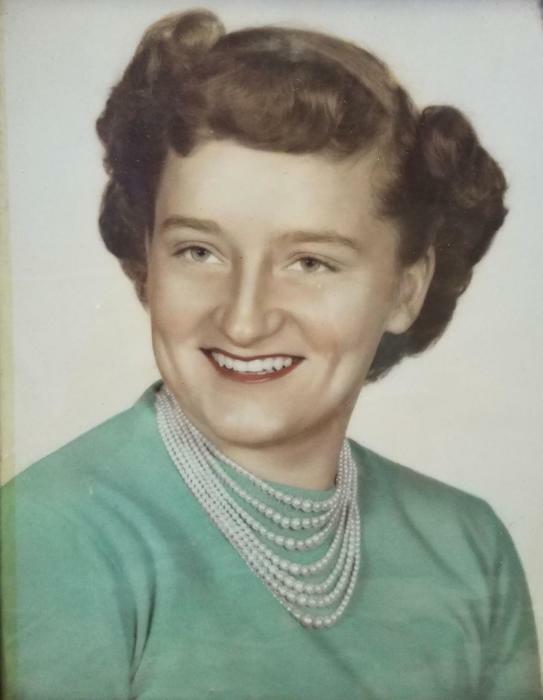 Betty L. Jones, age 85, of New Vienna, passed away peacefully Monday, April 8, 2019 at her home with her family by her side. She was born June 6, 1933 in Wilmington, the daughter of the late William F. and Mary Ellis Shipley. Betty was a devoted and loving wife, mother, and grandmother who adored her family. She had been a bus driver for East Clinton Schools for 30 years. Betty is survived by her husband of 65 years, Clifford E. Jones, to who she married April 10, 1954; daughter Saundra (Mike) Shutts of Leesburg; son Clifford L. (April) Jones of New Vienna; grandchildren, Aaron (Donna) Shutts of Virginia, Adam Shutts of Florida, Travis (Jesse Warner) Jones of Greenfield, Erica (Jeff) Reed of New Vienna, Chelsy (Quinten Jackson) Jones of Blanchester, Zak (Imari) Hough of Japan, Hallie Jones of Wilmington, Abbi (Claudio Rodriguez) Hough of Cincinnati, Myah Jones of New Vienna, and Jozie Jones of New Vienna; great grandchildren, Alli (James Shepherd) Jones, Kaleigh Shutts, Cheyenne Reed, Brogan Shutts, Camden Jones, Lydia Jackson, and Jeffrey Reed III; sister Nancy (Paul) Flint of New Vienna; and several nieces and nephews. In addition to her parents, Betty is preceded in death by an infant daughter, Beverly L. Jones; sister Helen Moyer; and brother Thomas Shipley. Funeral services will be held 6:00 p.m. Wednesday, April 10, 2019 at Brown Funeral Home, Wilmington. Visitation will be held Wednesday from 4: 00 p.m. until the time of service at 6:00 p.m. In accordance to her wishes, cremation will follow services and interment will take place privately at the convenience of the family. For more information, or to sign our on-line register, please visit www.aehart-brown.com or see our Facebook page, Brown Funeral Home.